Protect Your Pet This Summer – Get Caught Up on Vaccinations! There’s not many things more enjoyable about pet ownership than watching a content dog or cat basking in the sunshine. Even in the dead of summer, our pets find creative ways to keep cool and soak up the rays all at the same time. But those places, both in our yards and in the forests (or wherever you take your pets to play), all have one thing in common—the potential for your pet to get into something he or she shouldn’t. Actually that risk is everywhere, especially during the summer months. Vacations, hiking, swimming at the lake, even just a walk through the neighborhood—no matter where your summer takes you, your pet is at risk for bringing home something undesired. 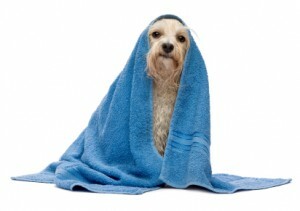 So before you hit the summer running, make certain that your pet is up-to-date on his or her vaccinations. Both routine vaccinations and specific preventatives are crucial for pets that enjoy the great outdoors. Something even as simple as a bite from the wrong mosquito can infect your pet with heartworms—a condition fatal for cats and both risky and expensive to treat in dogs. Likewise, fleas and ticks pose an increased risk to your pet’s safety over the summer months as well. With the weather prime for these pests it’s common to find that your pet has become an unsuspecting host to these problematic pests. As you may know, both fleas and ticks can pose serious health risks to your cat or dog. The bite of a tick can result in Lyme disease and fleas are not only extremely irritating (and hard to get rid of), but can also cause hotspots on your pet or infect them with tapeworm. Luckily, there are excellent preventatives available that help to mitigate the risk of your pet becoming infected. 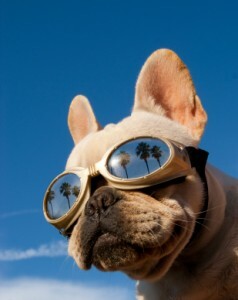 Ensuring that your pet is current on his or her vaccinations before the summer months hit is also crucial for anyone planning a vacation. 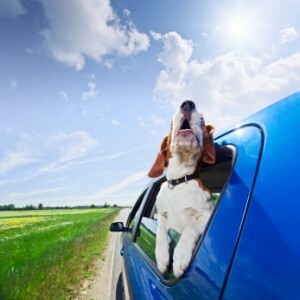 Whether you’re hitting the road with Fido in tow or checking your furry friend into our Dog Suites or Kitty Condos you’ll want to make sure that he or she is ready to go. If you’re planning a vacation with your pet, check with your vet to see if there are any additional preventatives he or she should have before heading out. This is especially important if you are heading to the Rocky Mountains, as there are excellent preventatives available to mitigate the dangers of a rattlesnake bite. If you’re checking your pet into a kennel while you’re away, he or she must be current on his or her vaccinations prior to boarding. If the kennel does not require this, there’s a problem and you should make different arrangements. Not only do pre-boarding vaccinations keep your pet safe, but they protect the other boarders from potential illness as well. Thankfully, there is a full compliment of vaccinations and preventatives available to keep your pet healthy and feeling frisky no matter the time of year. 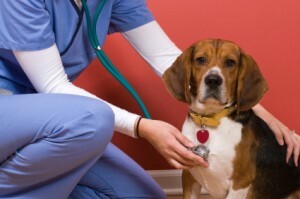 But, the only way they work is to ensure that your pet is up-to-date on his or her vaccination schedule. If your pet is overdue for his or her vaccinations, or is in need of any specific preventatives, please call us for an appointment. Even if you are unsure, a quick phone call is all it takes to check your pet’s records and will give you peace of mind that your pet is protected in the months ahead.